A clean office is an asset to any company, especially when there are clients who often visit the area. The cleanliness of the office says a lot about the business owner and his employees. That is why office cleaning is a must. Luckily, there are now cleaners who not only clean homes but have also extended their services to offices, schools, and healthcare facilities. Today, it is not uncommon for business owners to hire janitorial service firms or some other commercial cleaning service being offered by these companies. Many businesses set up shop in big cities like Singapore or highly populated areas like Long Island. Various medical offices, schools, and churches are probably set up in the same areas. You may think that office cleaning for big businesses can be handled easily in-house. However, cleaning is a very tough job. That is why instead of hiring people to do these things for them, business owners and facility administrators have chosen to assign this task to office cleaners in Singapore. Commercial cleaning service is not only confined to office spaces. Commercial cleaners in Singapore have also offered their services to day care centers, gyms, and retail spaces. These services include general office cleaning, floor stripping and waxing, window, carpet, and upholstery services. Move in and move out cleaning services are also available so that business owners and administrators will not worry about the dirt they have left in the office. For those looking to tidy up before and after construction, some office cleaning companies offer pre- and post-construction cleanup and debris removal. Business owners and facility administrators have the option of having the clean-up done daily, weekly, or even monthly. Many commercial cleaning service companies provide day and evening crews, and that option gives the business owners greater flexibility. Office cleaning doesn't just include dusting and sweeping the floor. Today's janitorial service firms offer floor care services such as floor refinishing, buffing, stripping, scrubbing, sealing, and waxing. For offices and other facilities that have wooden flooring, cleaners will take precautions to clean the floor carefully so that it will not be damaged. Commercial service cleaners in Singapore can also safely clean carpets, as well as vinyl and linoleum floors. Office staff and employers are assured that their furniture will also receive the same care. Leather furniture can be cleaned and restored, and wood furniture will be treated with lemon oil. The lemon oil can effectively camouflage scratches and other imperfections on the furniture while leaving it with a sleek and warm finish. Office cleaning is important because it offers greater protection against diseases that are caused by germs in the office through germicidal treatments. 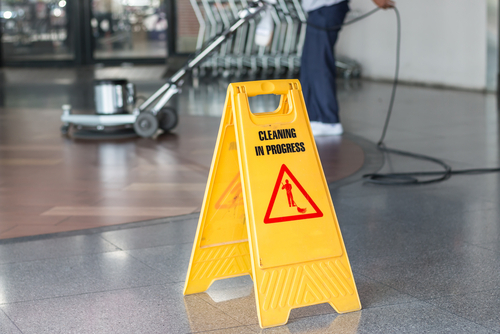 When looking for a qualified janitorial service or commercial cleaning service companies, make sure that the company is fully licensed, insured, and bonded. Look for references before you get the services of these commercial cleaners. Reputable cleaners will readily provide these references to business owners and administrators. You should be confident that they are dealing with only the best commercial cleaners for their office cleaning needs. Cleaning offices have grown to be a vital a part of our daily lives. We're already residing in a polluted atmosphere and the majority of us wish to are employed in a clean atmosphere. Because of the job pressure, many offices are open 24/7 which makes it susceptible to get have contracted grime and mud. Many invisible contaminants are available inside your office, which could have serious effects on us over time. It can be your harmless search printer that produces harmful chemicals from the cartridge, dust that settles on the curtains and carpets inside your office. Each of them come with itself can damage your well-being very badly. Any organization that's responsible about its image cannot compromise on its cleaning service. 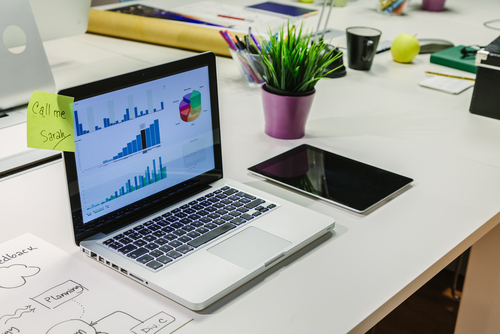 The clean atmosphere inside your office can impress your customers and clients and enhance the working conditions for the employees by looking into making them stay healthy. Office cleaning Singapore also involves cleaning, cleaning, trash removal, and repairs. If you're a software company, then there's you don't need to stress the significance of office cleaning. Here, products like computer systems, file cabinets, inkjet printers, etc will require regular cleaning with special techniques, because of the character of delicate items. A lot of us might not be that passionate about scrubbing flooring or getting the garbage. The good thing is that lots of cleaning service companies are carrying out these necessary activities. It is a known proven fact that where dust and garbage exists, cleaning is needed. Toilet Cleaning: This can be a hugely popular job even at janitors because it involves emptying garbage in the dressers, being a disinfecting urinal and clean pans, and checking for faulty plumbing. Carpet and fabric cleaning: The work involves cleaning all carpets, getting rid of streaks, marks along with other stains on materials. This includes cleaning flooring with disinfectants. The cleaning services may also handle miscellaneous tasks like electrical appliance sanitization, wood floor care, and solid waste disposal. You might also need an additional advantage because they use top quality office cleaning items. It's an undeniable fact in offices when one individual has flu or some illness, it propagates like wildfire. The following factor you realize, everybody present for the reason that room or vicinity can get affected immediately. Such ailments could be avoided from distributing by upholding your offices clean. In such instances getting cleaning baby wipes inside your drawer could be helpful. 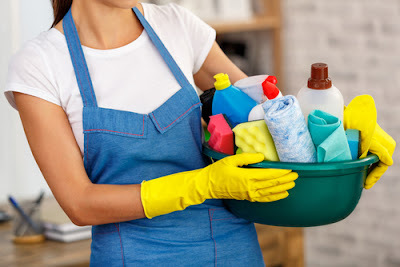 Office cleaning has additionally an excellent aspect connected by using it as a cleaner atmosphere is really a safe atmosphere. Worker productivity and excellence of work increases, when he/she's your cleaner and healthier office atmosphere. Office Cleaning services Singapore your workspace is essential to make sure that your customers can come again. It gives an optimistic impression on them when the place is well-maintained and clean. They are saying, the very first impression is the greatest impression. Try to implement that.